Happy Thursday, babes! Phew. 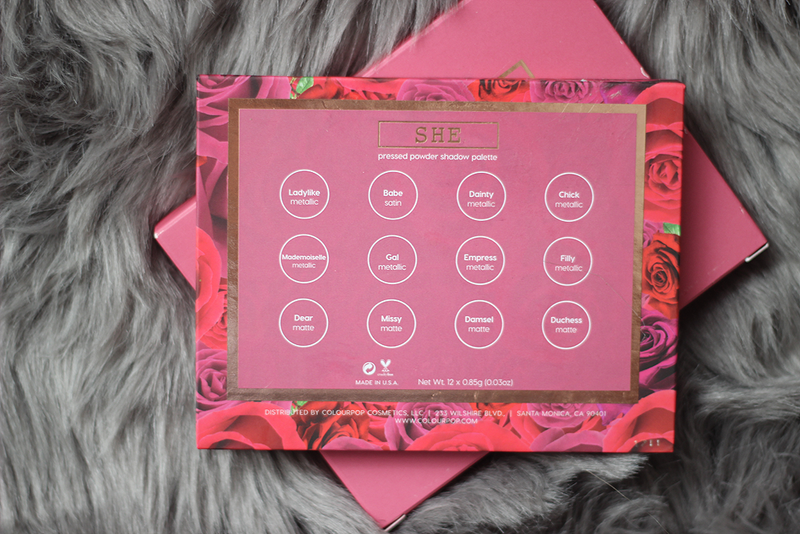 I was burnin' the midnight oil last night to get this post up today because *drum roll please* ColourPop is restocking the Karrueche She Palette today at 1:00PM EST and you don't want to miss it! PS. They're also restocking the Gimme More Highlighter Palette and launching three new Super Shock Highlighters! 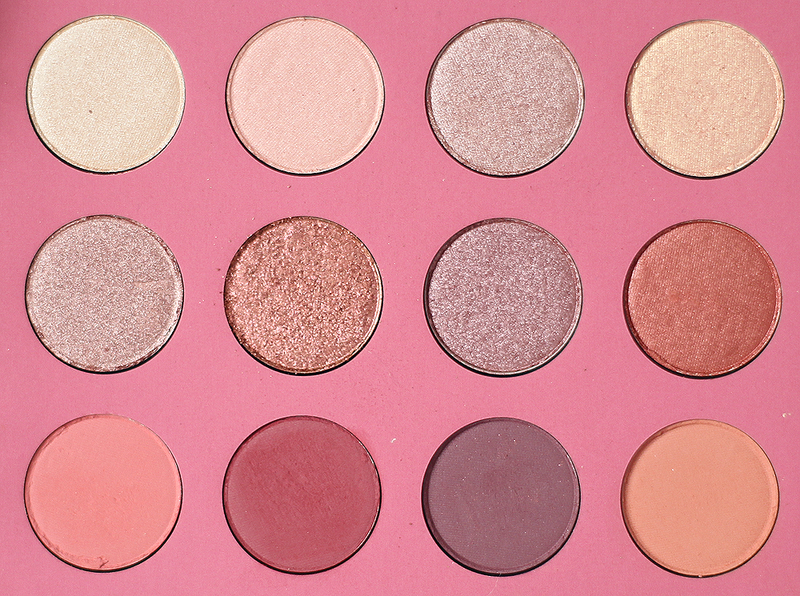 Karrueche x ColourPop She Palette ($16) is a 12 pressed powder eyeshadow palette. It contains four mattes shades, seven metallic shades and one satin in sweet, delicate shades that "make it easy to transition from sweet damsel to femme fatale". I love the range of shades and finishes while still keeping it light and romantic. 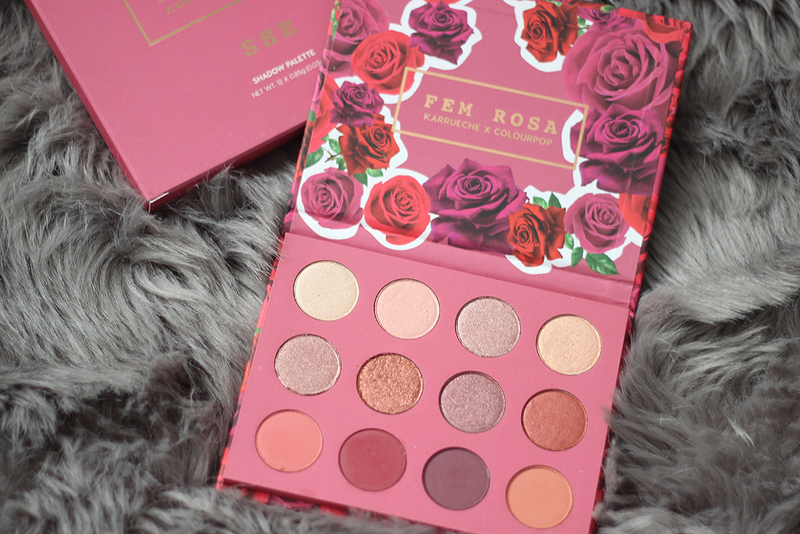 If you're looking for roses and mauves, this palette is totally for you. Ladylike - a metallic soft champagne. Babe - a satin light peachy pink. Dainty - a metallic pinky taupe. Chick - a metallic subtle gold. Mademoiselle - a metallic rose gold. 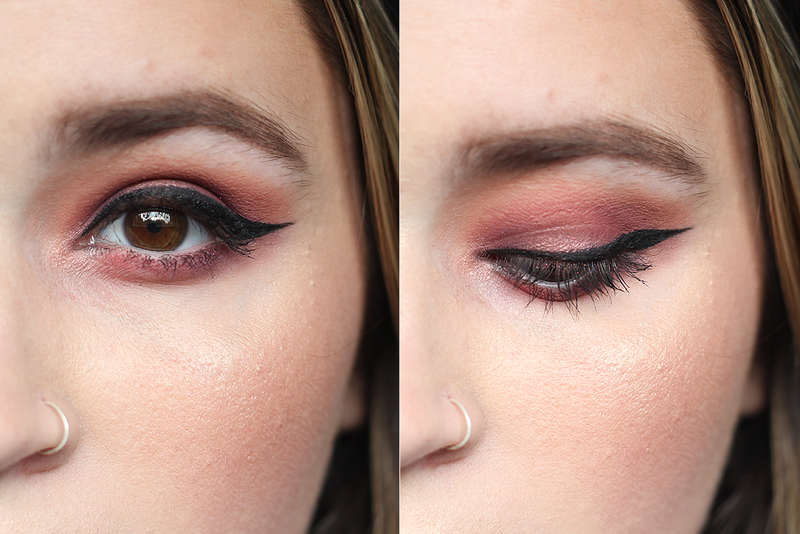 Gal - a metallic red with copper duochrome. Empress - a metallic mid-tone pink plum. Filly - a metallic rusty orange. Dear - a matte warm rose. 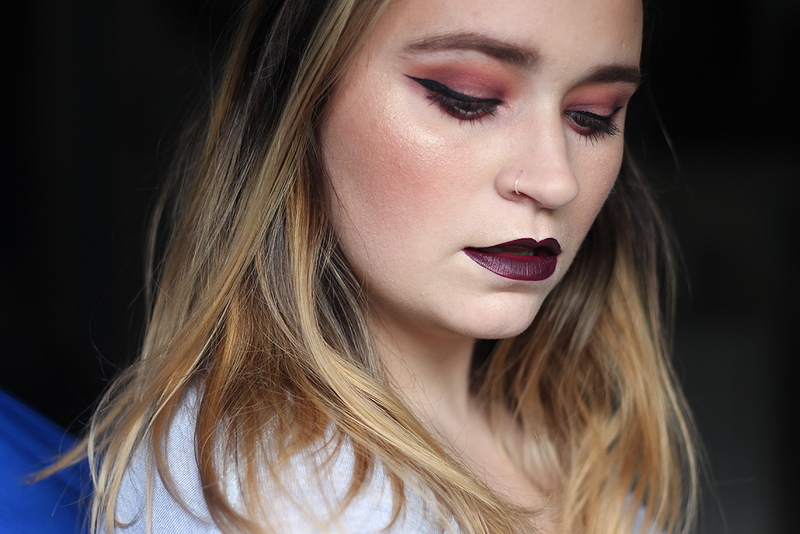 Missy - a matte deep burgundy. Damsel - a matte smokey violet. Duchess - a matte dusty coral. My favorite shades: Ladylike, Dainty, Dear and Duchess. In fact, most of them were amazing to work with. I always tend to fall in love more with the metallic formula as it's normally more pigmented and creamy and these did not disappoint. The mattes were also great to work with and blended like a dream. My problem child: Gal. Gal is beautiful but not really a metallic. More of a chunky metallic glitter hybrid then anything. It went onto the lid nicely with a synthetic brush (albeit with fallout) and I thought I had worked it out but within minutes, the majority of that shade faded off. I did, however, find a solution to this. I suggest spraying setting spray onto your brush first and then going into Gal and patting it on the lid. This seems to keep everything together and adheres better to the lid. 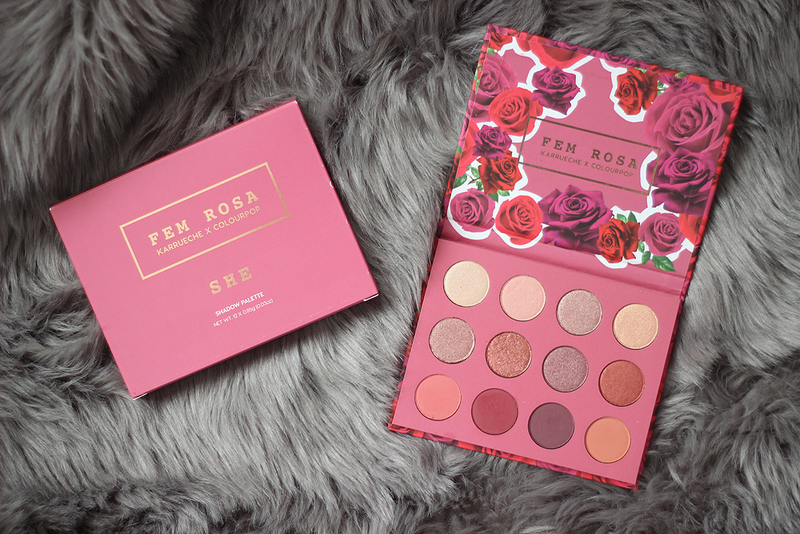 Set your alarms because the Karrueche x ColourPop She Palette restock goes live at 1:00PM EST here!